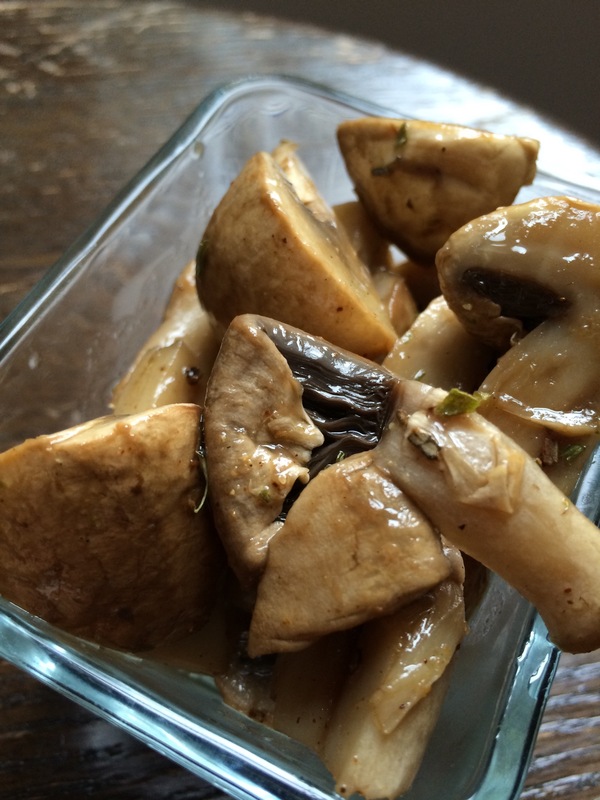 Marinaded mushrooms are easy to find on any olive bar or in a jar with other italian speciality foods. They are super easy to make and fun to serve. Try this one at your next party. Start by cutting the mushrooms into 4-6 pieces depending on how big they are. Place the mushroom in a pot of water with the salt. Bring the water to a simmer and cook for about 5 more minutes. The mushrooms will start to get soft and a bit darker. Gently strain the mushrooms and pour in to a bowl to cook for 30 minutes. In a separate bowl mix together all remaining ingredients to make marinade. When ready pour marinade over mushrooms and mix gently. Serve cold or at room temp. ← GIVEAWAY – Mexican Party in a Bag!